Even Tom Brady isn't afraid to go online shopping. Maybe Tom Brady will have time for the holiday season when he’s finally decided to hang up his cleats. For now, though, Brady’s in full-football mode. And that means he doesn’t get out to the mall much. "Amazon.com," Brady said when asked whether he’s done his Christmas shopping. "I probably keep them in business. It’s hard to find your wife something on Amazon.com." It must be especially hard to find something for a supermodel on the website. 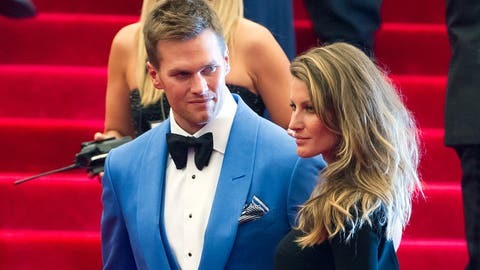 It can’t be easy to shop for Gisele Bundchen in general for Brady. Brady gave as much information on his holiday traditions as he typically will about upcoming game plans: zilch. On what Brady enjoys most about the holidays: "I don’t know. I’m not sure." On his favorite holiday movie: "I don’t have much time to watch movies this time of year." On his favorite Christmas song: "I don’t sing." Fans will be happy to know Brady is all business going into Baltimore on Sunday. There’s nothing to glean from watching Clark Griswold in Christmas Vacation in preparation for the Ravens.